Founded by Sir Frederick Henry Royce and Charles Stewart Rolls, Rolls-Royce Limited released he first of its new Rolls-Royce models in 1907. 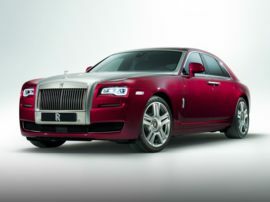 Fitted with an inline six-cylinder engine, this car was launched as the Rolls-Royce 40/50, but would eventually be referred to as the Silver Ghost. So named because the new Rolls-Royce models were extremely quiet and smooth running, they were also exceptionally reliable and of very high quality. Rolls-Royce automobiles sold well and started winning awards right away. The Silver Ghost proved so successful it was deemed necessary to open another factory—in the United States. Rolls-Royce of America was created and Springfield, Massachusetts was chosen as the location. There, some 1700 “Springfield Ghosts” were constructed, starting in 1921. The Springfield factory operated until 1931, when the worldwide economic slowdown inhibited demand. The next model to emerge was the 1922 Rolls-Royce Twenty. Smaller and more affordable, the Twenty served as a bridge model between the Silver Ghost and the first Rolls-Royce Phantom, which was introduced in 1925. The first of the new Rolls-Royce cars to be completely built in house was the 1949 Rolls-Royce Silver Dawn, This was also the first of the new Rolls-Royce models to come out of the company’s factory at Crewe. In 1971, the aviation side of the company had a hiccup, which endangered the financial stability of the entire concern. 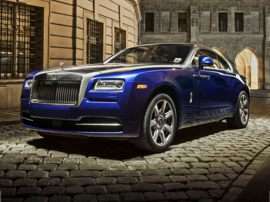 The British government nationalized Rolls-Royce to preserve the aircraft engine manufacturing aspect of the company. It then split the car side of the business off in 1973, dubbing it Rolls-Royce Motors. Vickers plc bought it in 1980, then sold it to the Volkswagen Group in 1998. Actually both BMW and VW had vied for control of the company but Volkswagen won—sort of. 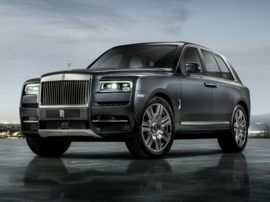 The deal they made got them the then-current Rolls Royce model range, the Spirit of Ecstasy hood ornament, and even the shape of the radiator grille—but much to their chagrin, not the Rolls Royce name, nor the RR logo. The Rolls Royce aircraft engine company had retained ownership of those elements when the British government broke up the company back in 1973. BMW subsequently worked out the deal of a lifetime with Rolls-Royce plc to use the name and the logo—which cost them way less than buying Rolls-Royce with those key pieces would’ve. 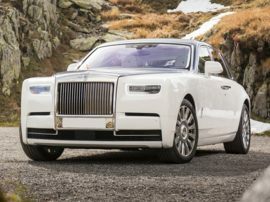 BMW then worked out a deal with VW to get the Flying Lady and the grille, before proceeding to build an entire range of new Rolls Royce models.